Much interest currently revolves around happiness in America, so much so that one could reasonably argue that there is a "happiness movement" afoot. The wide range of arenas in which happiness intersects reflects the subject's centrality in everyday life in America these past one hundred years. Happiness in America charts the course of happiness within American culture over the past century, and concludes that most Americans have not had success becoming appreciably happier people despite considerable efforts to do so. Rather than follow a linear path, happiness has bobbed and weaved over the decades, its arc or trajectory a twisting and unpredictable one. Happiness has also both shaped and reflected our core values, with its expression at any given time a key indicator of who we are as a people. The book thus adds a missing and valuable piece to our understanding of American culture. Beyond serving as the definitive guide to happiness in this country, Happiness in America offers readers a provocative argument that challenges standard thinking. 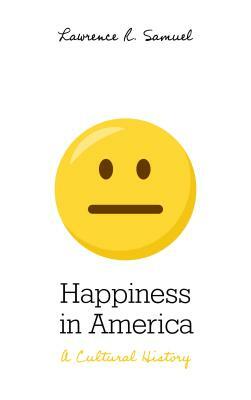 Despite popular belief, Americans have never been a particularly happy people. Our perpetual (and futile) search for happiness indicates widespread dissatisfaction and discontent with life in general, something that will come as a surprise to many. The image of Americans as a happy-go-lucky people is thus more mythology than reality, an important finding rooted in the inherent flaws of consumer capitalism. Our competitive and comparative American Way of Life has not proven to be an especially good formula for happiness, Samuel argues, with external signs of success unlikely to produce appreciably happier people. Given these findings, he suggests readers consider abandoning their pursuit of happiness and instead seek out greater joy in life.